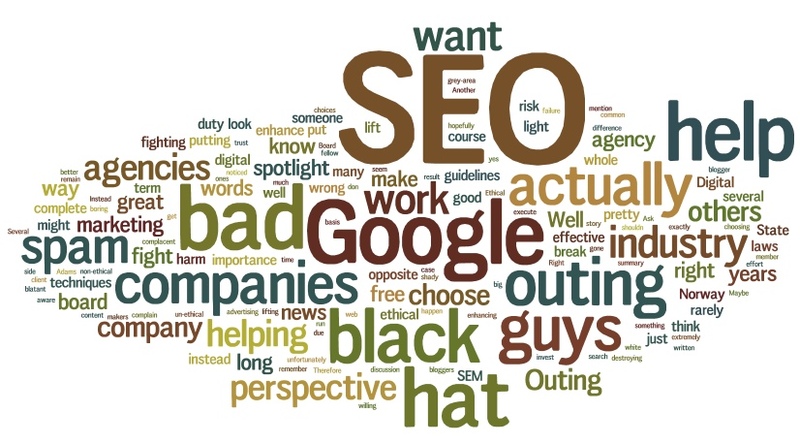 Outing Black Hat SEO; Should we, or should we not? Outing other agencies or companies for bad-, black hat- or grey-area SEO is pretty common. And it might seem pretty effective as well. But why do we do it? Who are we actually helping by outing others? Should we, or should we not, “out” other agencies or companies for bad or un-ethical SEO work? Well there`s many answers and perspectives to that question. Here`s some of them. Outing = helping the SEO industry? Outing the “bad guys” will both help Google fight spam, and it will lift the “good guys” into the spotlight, putting our whole industry in a better light. Right? Or the complete opposite? Will outing the bad guys actually enhance the spotlight on the more dodgy side of the SEO industry instead? There`s no news like bad news, and bad news could unfortunately be the only ones that gets noticed. Ask yourself this: What SEO case do I remember from 2013? Many would say the Interflora penalty-case. Few would mention award-winning, clean and ethical SEO cases. By outing others, do we actually help our industry, or the complete opposite? And do this mean we should look the other way? Another perspective is this: By outing the “bad guys”, you actually help companies choose the “good guys”, and to make their SEO work risk-free and user friendly. Several companies have actually gone down and under after choosing the wrong agency and being penalized by Google for it. This is of course something none of us want to happen. To help companies make the right choices in the jungle of digital agencies, it is our duty to out “the bad guys”. Or is it? By outing non-ethical agencies, what company are we actually helping out the most? And for free, as well? Google, of course. By helping Google “fight spam”, you actually help them enhance the importance of paid search, which in the long run hurts SEO. Do we want to do that? Should companies be free to choose black hat techniques? A third perspective on this issue. If a company want to do black hat SEO. If this is necessary to get the results in an extremely competitive landscape, and they are aware of the risk and the potential long term harm. Should we then judge the agency doing the black hat work for that company? Should we out someone for their “shady” SEO work without knowing what`s written in the contract between client and agency? Some say no. Everybody`s free to choose to do black hat, if they know the risk. You don´t break any laws doing black hat, you only break Google´s guidelines. Others say yes. We should never look the other way, as black hat techniques, spam and malware are destroying what we all love; great web content. This article is a summary of a long discussion between several State of Digital bloggers. This is my own perspective: In addition to working for several digital marketing agencies for the last 7 years, I have also been a board member and chairman of the board of the Board of Ethical SEM in Norway (BraSøk). I have in other words been fighting spam on a daily basis for years. But in all those years, I have rarely outed the “bad guys”. Why? Well, my perspective is this: Instead of putting our effort into fighting the bad guys, we should concentrate on lifting great SEO work into the spotlight. This seems boring, I know, but it will in time lift the importance of the SEO industry and the trust in SEO. It will help companies decide for themselves what kind of SEO they want to do, and hopefully make them choose “the righteous path”. The board of ethical SEO in Norway does not fight spam (shocking, right?). 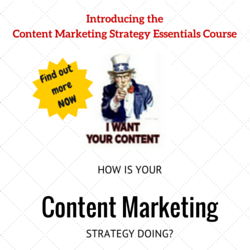 They instead spend their energy on enhancing what is great about SEO, SEM and performance marketing. Maybe this is what we all should do, even though outing might be more effective, and exciting, in a short term perspective? To get a full view of the debate, read the entire exchange between Gianluca Fiorelli and Barry Adams here. Agnete Tøien Pedersen is Head of SEO in iProspect Norway and has years of experience within SEM, SEO, web publishing and journalism. She is also chairman of the Board of Ethical SEM in Norway, BraSøk. On a daily basis she is working with customers of all sizes, in Norway, the Nordics and internationally. what a fascinating discussion, and I can see both sides of the argument. But then I don’t fly with the whole black hat/white hat argument anyway. As far as I’m concerned, there’s no such thing. This isn’t the old west, or a cowboy movie. This is real life and we are charged with getting results for our clients. All SEO (short of on page stuff) is “grey hat” anyway. Anything we do to increase the rankings of our sites in Google is essentially against their webmaster guidelines. My example, you write a good blog post and post it on your clients site…you need to seed that blog post for it to get any traction and build links naturally. Whether that’s through a paid suggestion network such as outbrain, taboola or even zemanta, or something like paid stumbles, tweets, social etc. You do outreach to other sites, your end goal is very likely to get incoming links to that post via people finding your post on these paid channels, it is very rarely to get the traffic itself from the initial outreach. This in itself is essentially paid links. OK, you don’t know where the links are going to come from, but without all the money and time you’ve spent promoting your blog entry, it’s unlikely to gain any traction by itself (short of having an actively engaged community). Google seems to be promoting an “if you build it, they will come” mentality, and that’s just not the case for the majority of sites. So let’s look at the “black hat” argument. As Barry says, the webmaster guidelines are not laws and people who choose to promote their sites without considering them are not outlaws, they are making a business decision. There are no ethics involved, it’s not an ethical argument, the right to life argument is an ethical arguement, what techniques you use to rank a site is not. We as SEOs use these terms like blackhat/white hate, ethical link building but that whole concept is flawed. The other thing to consider is that Google is constantly changing the definition of what it considers black hat. You just have to look at the recent announcement regarding guest blogging, which was for a long time considered the whitest of white hat techniques to build links and now you’re going to have SEO companies running round disavowing links from previous guest blogging work. However, I also understand the frustration of trying to rank a website by using techniques that conform to Google’s webmaster guidelines to see your work eclipsed by other sites using techniques that you’ve agreed with your client wouldn’t be a good idea. So should you out those using the techniques? Well I guess that’s a personal decision. Most of these posts we see outing those using techniques that don’t conform to Google’s webmaster guidelines are self serving link bait in themselves. They are not done to make things better, or make things a more even playing field, they are done to promote a company/author. Doing paid promotion or outreaching people, who may be interested in your content is not against the Google’s guidelines IMHO: it’s marketing. Yes, you are doing that also because of the links that content may gain, but – at least that’s my main objective – you do it because you want to reach out your audience there where your audience is. 3) because Lonely Planet has a much bigger volume of people within my site audience than my site itself. If then Lonely Planet links to me with a follow link… hurray!, but if it doesn’t do it, I don’t care, because the main objective has been achieved anyway. Thanks for responding, I see your point but I can’t help wondering whether your main objective from doing the outreach is to really have your content seen by 3 or 4 people? Mmm… I’ve said that if Lonely Planet – in my example – cite my content and link to it, I don’t despair if it’s not followed, because people will click on it anyways and I will receive quality referral traffic (a part gaining in brand exposure, obtaining the advantage of co-occurences on a trusted site…), and surely that exposure on such an authoritative site will end up producing links (also followed ones) to my content. Ah, now that we can agree on. In this case the nofollow link will be equally valuable in driving referral traffic and other engaged site owners. Those following people who are engaged with your post because of that link may also link to it from other sites. Because that is what really happens. You acts affect to your company or to others. According to that, the problem gets different dimension. Isn’t that part of the risk the black hat takes? Why should they have it both ways? Have it both ways how? To me it seems Google is having its cake and eating it too. Perhaps they are. But what does that have to do with the fact that if you want to take a risk and use those tactics, the risk also involves being outed? Why blame the outers for hurting your business when you knew the risk going into it? It’s not about blaming the outers, it’s about the outers themselves realising what they are doing and who they’re really helping – and hurting. The naivety of outing is what I’m trying to address. If we didn’t out shady tactics then the likes of Rap Genius wouldn’t get 1000’s of free links and publicity worth millions. Obviously we should call them out. Blackhat hasn’t just wrecked search for Google but for Whitehats. I’m not talking about the shady area of liberally intepreting Google’s TOS – I mean the high scale scandalous stuff. If you want a fair, free, even space, then blackhat cannot be tolerated. I really struggly with the conspiracy-theory sounding binary education that outing blackhat is helping AdWords…. Heh! Yes, it does definitely help AdWords if your site has been penalisted but I dont see penalising good sites will help. Additionally Google is taking over specific verticals like travel and finance with in-SERP comparison engines, all so that Google can take a larger share of the whole internet revenue pile. Yup – the lines are well and truly fuddled – beyond blurred, they’re intermingled. To me Black Hat accounts for the nasty sh!t that goes on (hacking sites for link injections etc). Just because something is not advised by Matt Cutts or goes against what Google are advising/saying/writing into their TOS, this week, does NOT make it Black Hat in my view. If Google were a non profit, regulated organisation dedicated to the good of the internet it would be one thing…but make no mistake there primary goal is to make money. My duty to our clients is to make them (and by extension my company) money. Not to make Google money. The way I look at it, it’s not our job to do Google’s job for them…and what is black hat these days anyway?? It seems to depend on the person you talk to and whether they believe Grey Hat is a thing. imo ANYTHING that manipulates Google’s SERPS is effectively Grey Hat, and if it isn’t yet, just give Cutts & Co time. That doesn’t make it unethical in my view. Hacking someone else’s site or some other shady tactic on the other hand is a different story. I genuinely believe if Google had their way there would be no SEO industry, just a PPC/SEM one. Neil – what do Google sell ? Organic rankings. If people didn’t get “unpaid” for results – even if they click on paid results – then it offers nothing to them. There’s a world of difference between two people’s definition of an SEO optimised website. Every month I deal with “this site is already 100% SEO optimised” only to find that there might be 6 months of work that we create for the web designer to bring it up to par. Its not about designing sites for search engines – its about web designers understanding how people might find their site, and the answer is almost never because of the design. I’m doing this for 15 years now and the interest, importance and results have never been better. So Barry, I thought about this long and hard. I recently had to drive across the little Island of Ireland that we live on and it gave me 2 hours to think about this. What makes it hard is the arbitrary nature of the ToS violations. That good white hats easily become hit with no good reason, and the tar brushing that follows suit. There are/were 3 outcomes to this decision – and this is why I am not against outing blackhat SEO’s or filing Google spam reports or calling the beneficiary companies who have hired blackhats to spam my blogs. Firstly, there is a very definitive blackhat industry that in no-way resembles SEO. It isn’t SEO be any definition of the word, it is just link buying. We have to “compete” with fake agencies here in Ireland and the EU that are front offices to link sweatshops based in lower income economies. 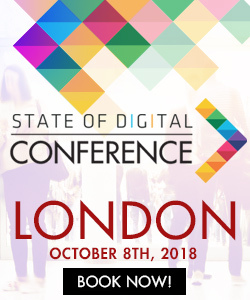 We couldn’t compete with the incredibly cheap offerings, the sheer scale and the complete and utter nonsense proffered as “consultancy.” These agencies – which have now cost companies 100’s of €1000’s in lost revenue are still there, most of them penalised so badly that they don’t rank in the first 100 results but do happily run PPC. So no – I have no issues with outing true blackhat cowboy businesses. I do respect SEO’s who have gotten nailed because Google started with a broad, low-touch interpretive almost philosophical approach to explaining it’s ToS, I even sympathise with those who got into grey areas. But there are some that I secretly enjoy seeing justice served. Of sorts. I suppose it depends on how you define ‘SEO’. For me, if it gets results for the client, it’s a legitimate tactic. Also, you speak of ‘justice’ – but, as I say in the post, Google is not the internet police. The only justice you’re serving is Google’s own bottom line. Outing black hats has, as I explain in my side of the debate, negative repercussions for ALL of SEO. You’re harming yourself as well whenever you out a BH. “He who is without sin, cast the first stone!” and “Haters gonna hate!” are so fit here. The algorithm has massive shortcomings right now. Just look at the Viagra SERP, it is all hacked sites. But without getting rid of links altogether, we are going to be stuck with things how they are for some time. But, what they can do right now, is to turn people against each other. I mean, we have a respected white hat stating that he is happy to out other SEOs. Rather than putting his faith into following the Google guidelines and being justly rewarded. That’s how you rank a site right? We now have a situation where people are turning on one another. There were some notions about responsibility and following the rules. But let’s be brutally honest with each other here. Outing is born out of frustration. Whether or not people care to admit it. Google isn’t your friend. Writing a nice blog post for them isn’t going to get you any brownie points. What outing does guarantee you, as long as the right person sees your post, is that pesky competitor off the SERPs. Can’t outrank a competitor? Following the guidelines getting you nowhere? Just drop us an email or write a post with some evidence and we’ll take care of the rest. We’ve already had the crowd sourced spam identifier in the disavow tool (10/10 for that one) and this is now the next step. Crowd sourced outing of websites breaking the guidelines. At least we get to see the scumbags outing others. if u cant rank, dont spolit it for ones who can imo. Google always hates Black Hat techniques. But still, an untraceable white hat technique exist under Penguin Era. I learn two of them from symbianize. And it really works. 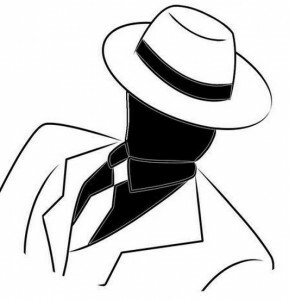 Black hat should not always = “bad guys” just as white hat should not always = “good guys.” There are plenty of examples of black hat practitioners who are not harming the overall search experience, just as there are examples of white hat advocates who most assuredly are. I loved this article. I have to laugh reading my old post. It is amazing how unintellible my words end up whenever I seek help for my tech nightmare. Now I am mirrored and there is a new program for best WP Defense. I have to see what they are trying to teach me now. Marginalized and isolated. This is ridiculous. The industry cant eat its own young and.think normal less techy users will follow. It.never got better after Super Nitendo. 🙂 i am a lucky one.I know the highest people to call. I havent yet. No one seems connected to anything else. Plausible denial and big checks to charity is not.really getting what you can only knkw by those who arent in on the know. . I am not mad. I an jist glad my sons an daughters arent hurting people as a guise for employment or advocacy. All this intelligence should be better managed. There is room for individuals to di well because there is not a corporation that has a clue to the demographics… instead they rely on data that is very suspect. Who needs more interactive apps? Who knew that Steve Job didnt allow his own.children on the internet? STEM. You have to have boots on the ground and that feeds the innovation. Pretty soon the world will figure it. still is ignorant. Reel in the.technet creation team and just. ask those bright young people what communities they belong to and how it helps them to know about the other hundred variables that is unique to people groups and what matters. Relational is never going out and in its void is where tyrants rise to fool the ignored. Sorry no working spell check. Hope everyone is working towards conflict resolutions. We cant fear everything. Praying for you Paris.